You’ve heard of Bikram yoga, yoga in high temperatures to promote flexibility and detoxification. Well now there’s salty yoga, a form of yoga that takes place in a salt chamber. Salty yoga takes the curative powers of salt, which can particularly be helpful to the respiratory system and applies them to a gentle yoga sequence with a heavy focus on breathing. So why salt? Salt boasts many natural and holistic qualities. It’s anti-inflammatory and anti-bacterial. 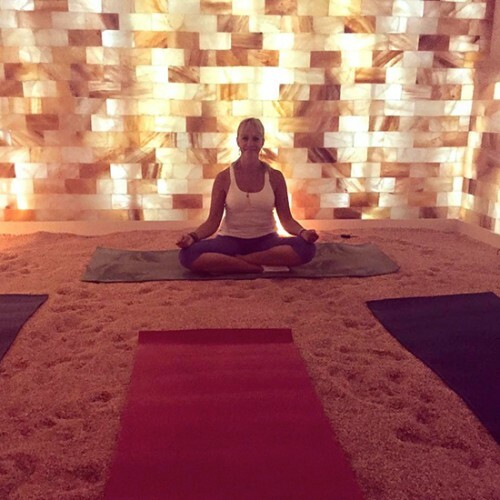 Salty yoga enthusiasts claim that that it improves respiratory conditions by drawing water into the airways, thinning mucus and improving the function of cilia (tiny hairs that help to move mucus away from the lungs). While more research needs to be done on the long term benefits, it seems the immediate effects are largely positive.